“This is about celebrating a man who had the vision to understand that the fight for civil rights is aligned with the fight for economic rights,” Harris told City News Service in connection with her selection as grand marshal of Monday’s 33rd annual Kingdom Day Parade in South Los Angeles. 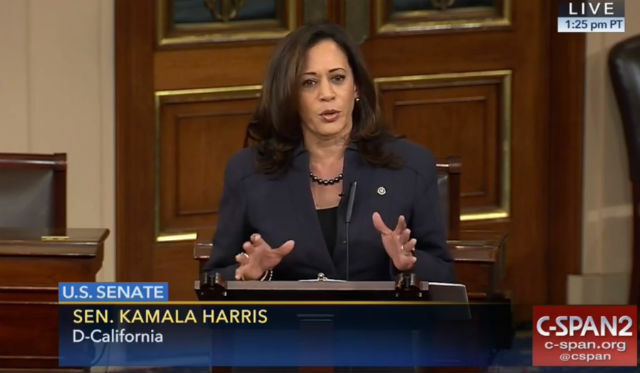 When asked what is the best way or ways for the public to observe Martin Luther King Jr. Day, Harris, D-California, said she recently has been “reading some of Dr. King’s speeches for inspiration and as a way to remind myself that we are a great country. “Part of what makes us great as a country is that we always fight for the best of who we are, and I think this is one of those moments in time that is requiring us to remember that we are great and to remember that what makes us great is we fight for the ideals of our country,” Harris said. Then-President Ronald Reagan signed a bill into law in 1983 making the third Monday in January a federal holiday to honor the birthday of the slain civil rights leader, who was born on Jan. 15, 1929. In his proclamation designating Monday as Martin Luther King Jr. Day, President Donald Trump declared, “Dr. King advocated for the world we still demand — where the sacred rights of all Americans are protected, rural and urban communities are prosperous from coast to coast, and our limits and our opportunities are defined not by the color of our skin, but by the content of our character. “We remember the immense promise of liberty that lies at the foundation of our great republic, the responsibility it demands from all of us who claim its benefits and the many sacrifices of those who have come before us. “The reverend’s devotion to fighting the injustice of segregation and discrimination ignited the American spirit of fraternity and reminded us of our higher purpose. Posted in Politics | Tagged civil rights, holidays, Kamala Harris, Martin Luther King Jr.